The head of the center “Sirius” Elena Shmeleva © Alexei Nikolsky/press service of the Russian President/TASS MOSCOW, January 24. /TASS/. Meeting of the election headquarters of candidate for President of Russia Vladimir Putin with citizens in a public reception will be held on a regular basis. 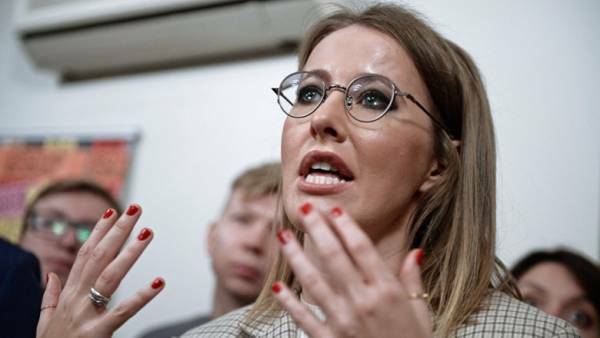 About this said on Wednesday, TASS co-Chairman of Putin’s electoral headquarters, head of the center for gifted children “Sirius” Elena Shmeleva. Putin offered to “kiss” a worker for the success of the enterprise Russian President Vladimir Putin during a visit to the company “United engine Corporation” in Ufa offered a “kiss” of a worker in response to the question about the possibility of returning to the award of the labour collectives, the correspondent of RNS. 6фотографий6фотографий “Let me just kiss you”, — Putin said, answering a question of working on the possibility of returning to the practice of awarding government labor collectives of enterprises. 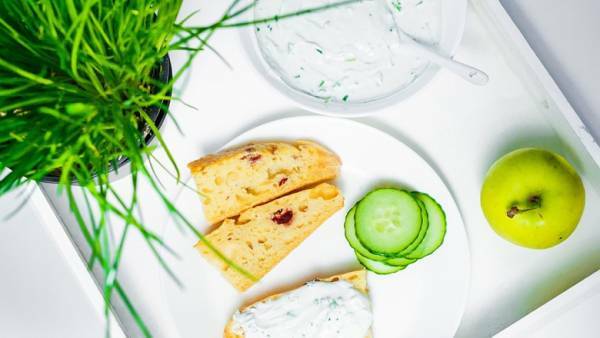 According to the President, this practice was discontinued in the Soviet era, as it did not affect the production results of plants. “Back then, in Soviet times, it was decided that to reward for personal achievements of each individual. We have such a practice continues,” said Putin. During the download an error has occurred. Plenipotentiary representative of Russia in the Contact group on settling the situation in the South-East of Ukraine, Boris Gryzlov © EPA/SERGEI CHIRIKOV MOSCOW, January 24. /TASS/. The parliamentary Assembly of the Council of Europe (PACE) demonstrates the lack of understanding or unwillingness to understand the nature of the political crisis in the East of Ukraine, and its demands to Russia to cease economic and financial assistance to the Donbas not consistent with the principles of humanism. 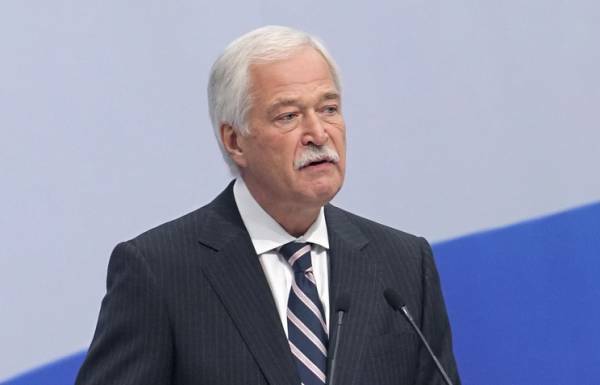 This opinion was expressed on Wednesday by TASS Plenipotentiary representative of Russia in the Contact group on settling the situation in the South-East of Ukraine, Boris Gryzlov, commenting on the PACE adopted a resolution on the humanitarian consequences of the armed conflict in Eastern Ukraine. In his opinion, PACE, “once again demonstrated a lack of understanding or unwillingness to understand the nature of the political crisis in the Donbas as domestic political confrontation”. Russia’s permanent representative to the EU Vladimir Chizhov © Vladimir Smirnov/TASS BRUSSELS, 24 Jan. /TASS/. Statements by the President of the United States Donald trump on Iran’s nuclear program is to blackmail the European Union. 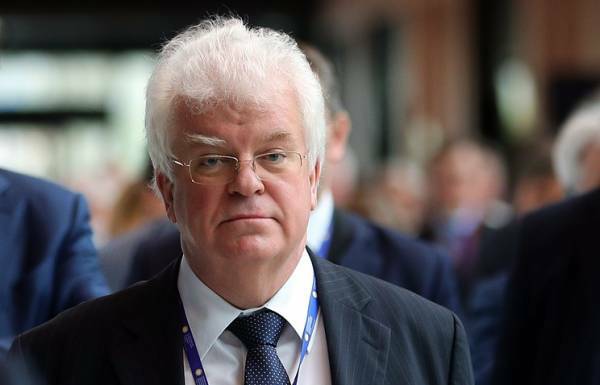 This was stated Wednesday in the interview with TASS, Russia’s permanent representative to the EU Vladimir Chizhov on the sidelines of the remembrance Day of the Holocaust in the European Parliament organized by the European Jewish Congress. © Alexander Shcherbak/TASS MOSCOW, January 24. /TASS/. Supporters of a military solution to the conflict in the Donbass, seeking to undermine the Minsk agreement. 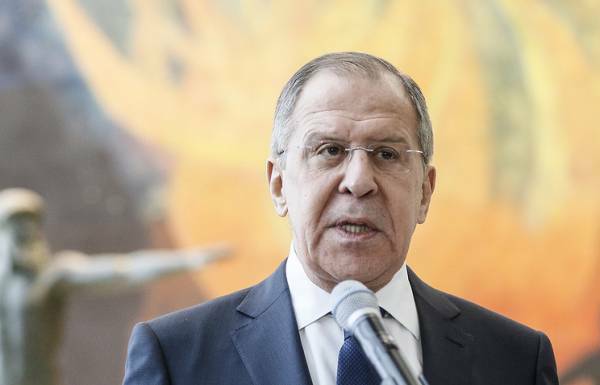 This was stated on Wednesday the Minister of foreign Affairs of Russia Sergey Lavrov, speaking at the opening of the XXVI International Christmas educational readings “the Moral values and the future of humanity”.